Check out all the great titles coming this April from Action Lab Entertainment. 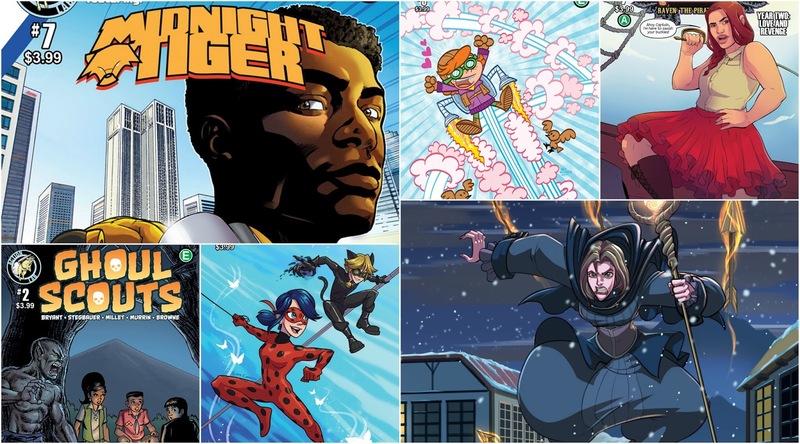 The following titles will be available for purchase in comic shops everywhere! 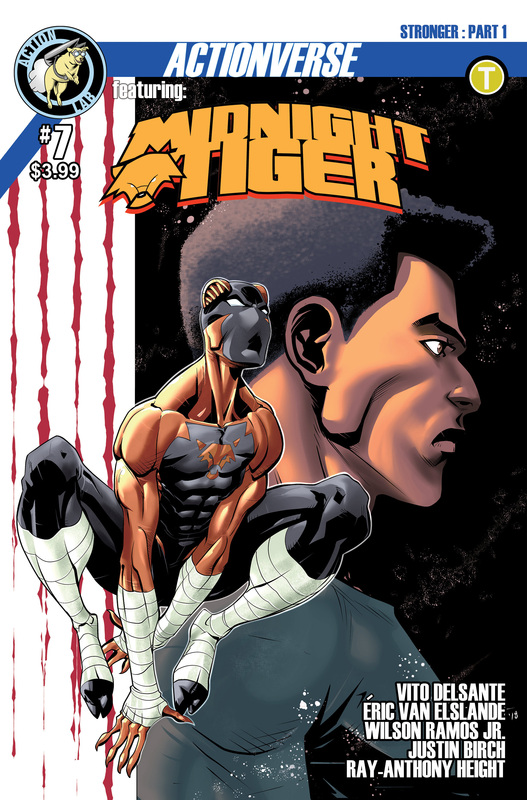 THE FIGHTIN’ FELINE HAS RETURNED TO THE ACTIONVERSE! 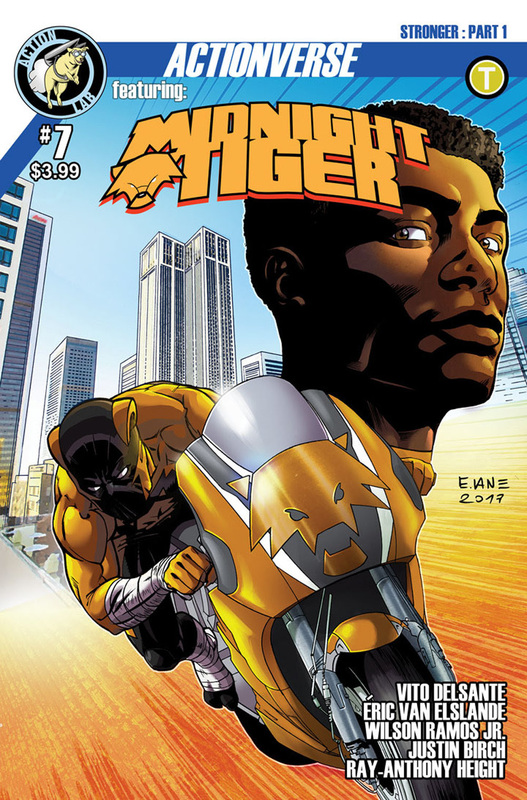 After appearances in STRAY, Gavin Shaw, aka Midnight Tiger, is back in the saddle in a new four-part story arc entitled “STRONGER.” Gavin’s entire status quo changes as new villains arrive in Apollo Bay and the legacy of Lionsblood flips his world upside down! 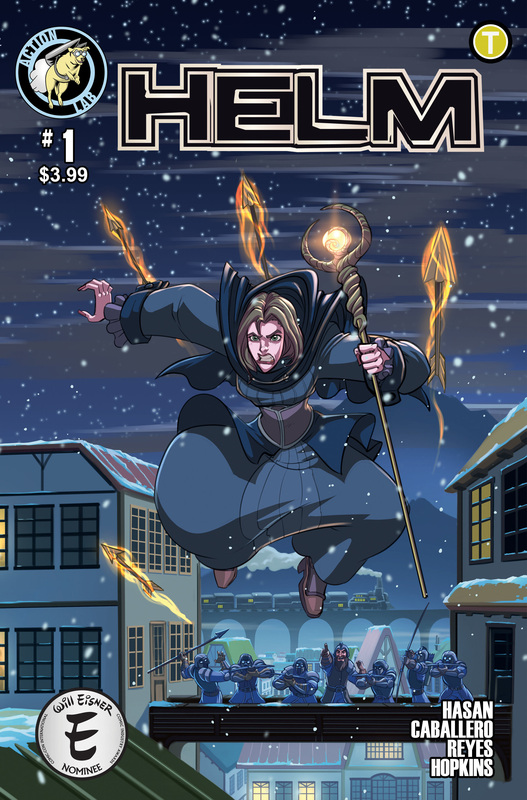 Art and cover by new regular artist, Éric Van Elslande! 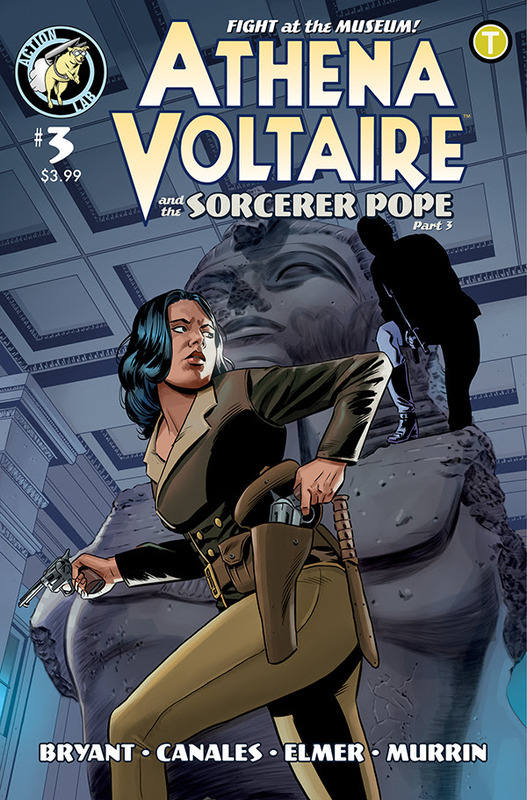 Athena and company attempt a desperate gambit to keep the Nazi occultists from obtaining the final piece of the mysterious tablet! 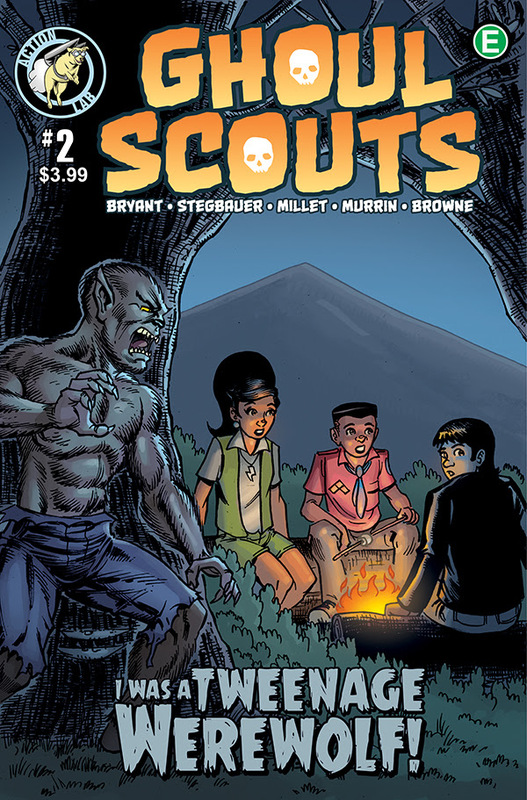 While the scouts scramble to determine the identity of the werewolf, the sightings (and attacks!) continue! Winter arrives in Stellar City! 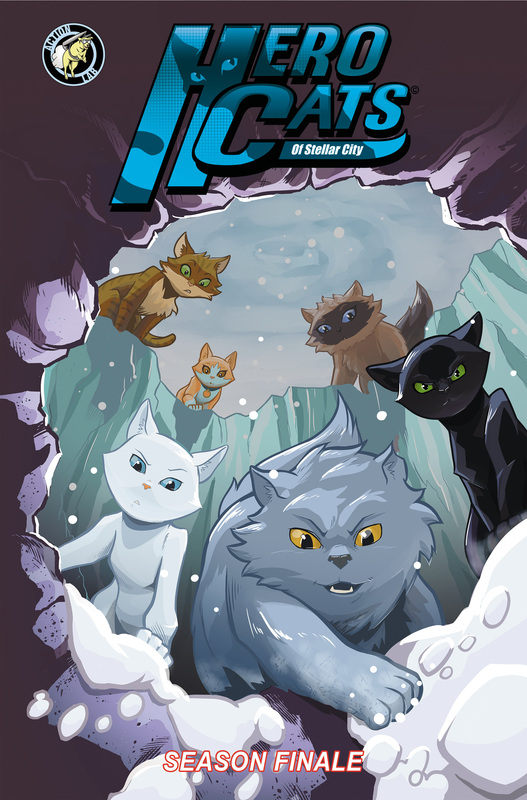 Can Ace and his Hero Cats survive the cold? Season One concludes, and just wait till you see how this one ends! The battle for Olympic Heights ends here! 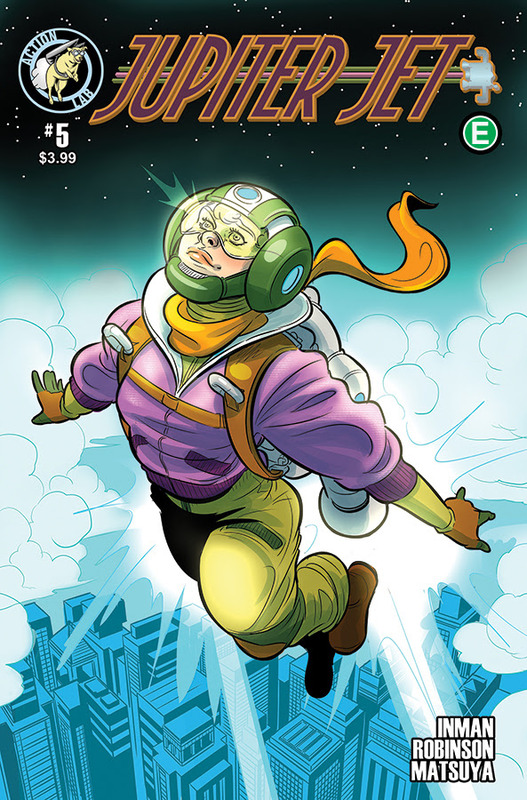 Jupiter Jet faces off with Praetor Pluto in the skies and the fate of her family hangs in the balance! 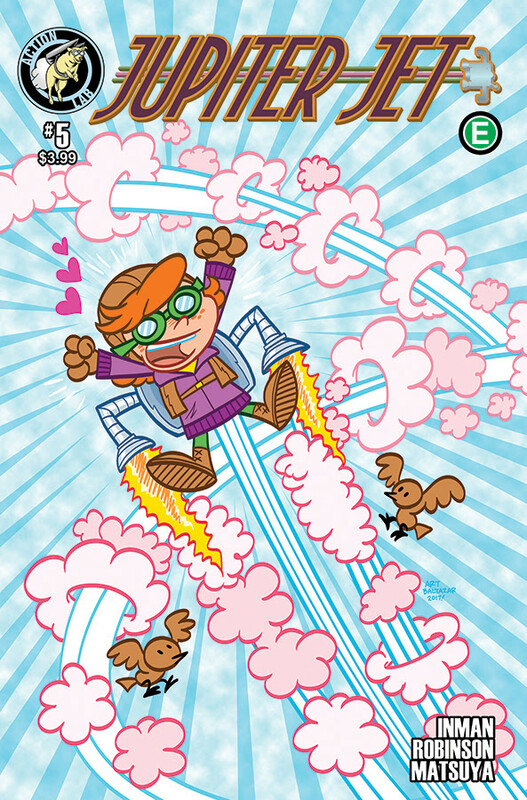 Can Jupiter Jet survive a battle against Praetor Pluto's robot army? What is Pluto's master plan? And a shocking conclusion that will change everything in Jupiter Jet's world. Marinette is flipping out: Adrien seems to have taken an interest in a new student, Lila. The young girl tells Adrien that she knows a lot about superheroes and that she even knows Ladybug! 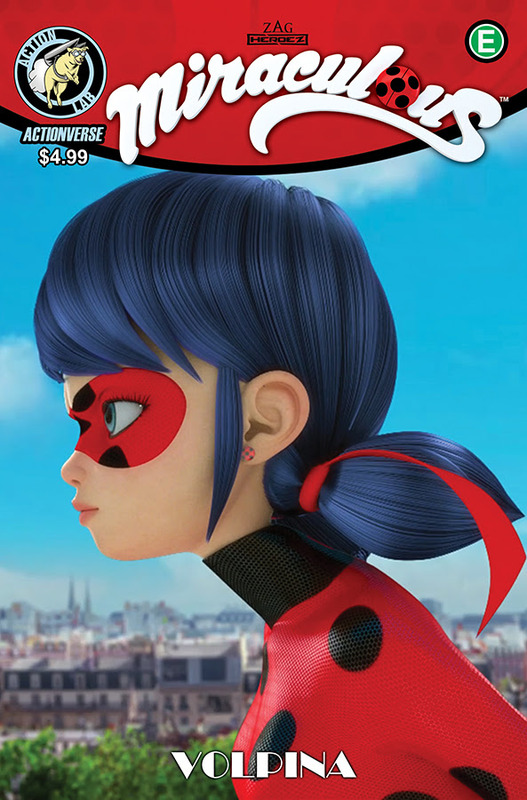 Marinette turns into Ladybug to foil her but makes her a deadly enemy by humiliating her. 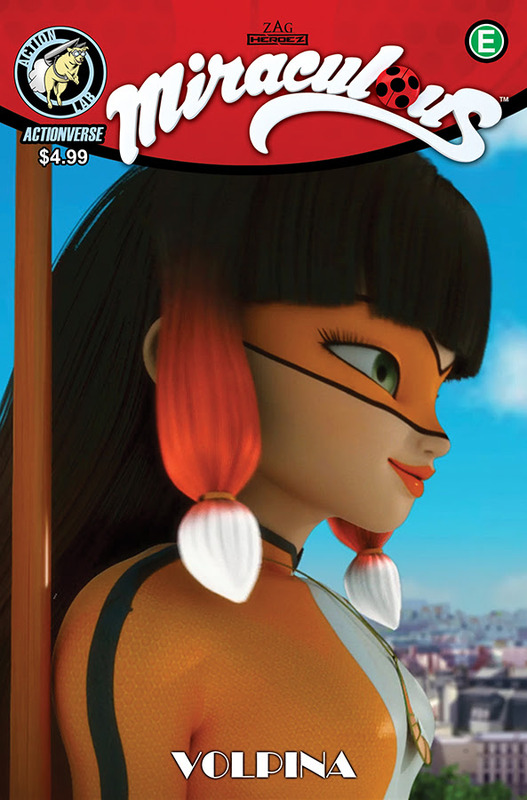 Spotted by Hawk Moth, Lila gets akumatized and turns into Volpina, the mistress of illusions. Volpina pretends to be a superheroine wanting to form an alliance with Cat Noir and Ladybug, but she has only one goal: divide and destroy! 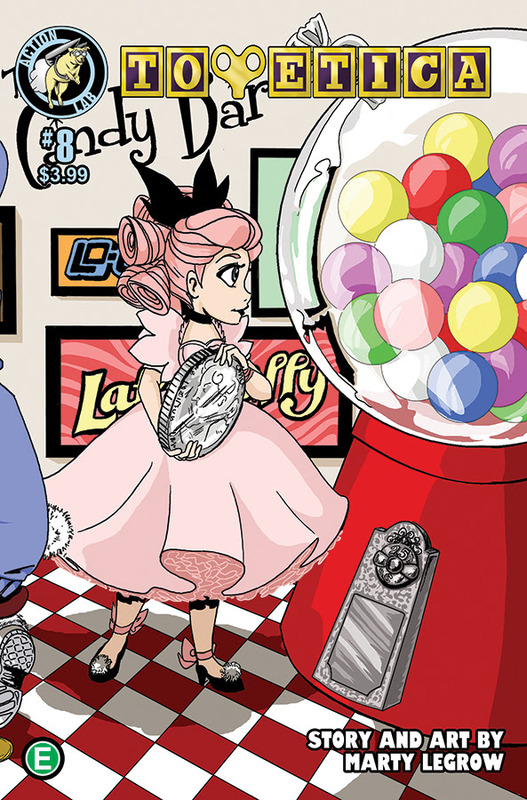 This is the final chapter of the second volume of original stories based on Zag Entertainment’s popular television show! 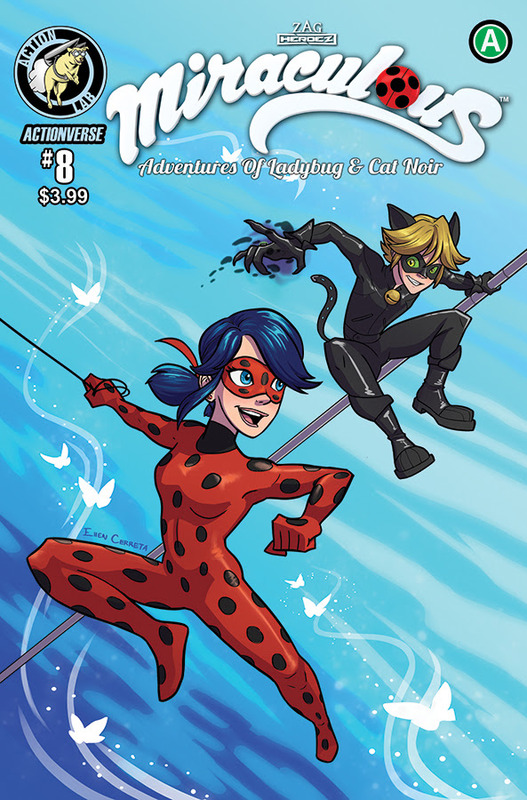 Ladybug and Cat Noir face one of their toughest foes yet. 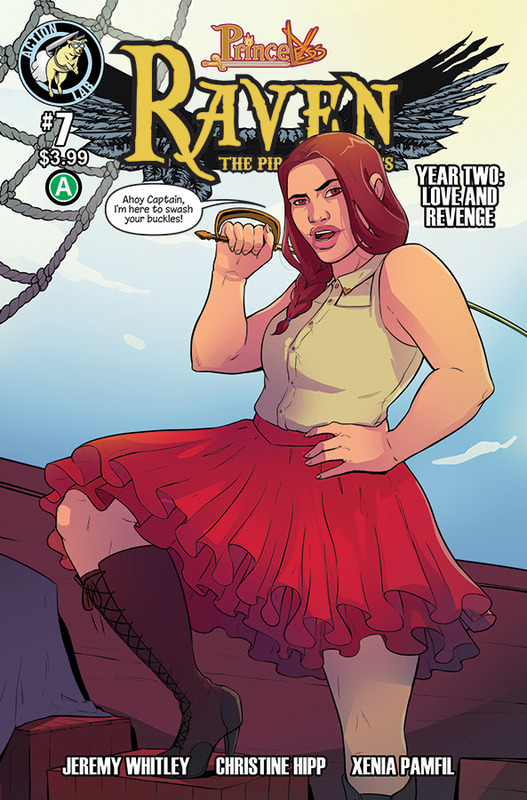 Will they be able to save Paris (and themselves), or is this their final fight? On a cool evening on the swamp, a figure appears dancing across the water. A human figure, but far from a human form. A Ghost, a young girl spirit that seems to have lost its way. A good Samaritan owl decides to help against the wishes of his animal brethren. 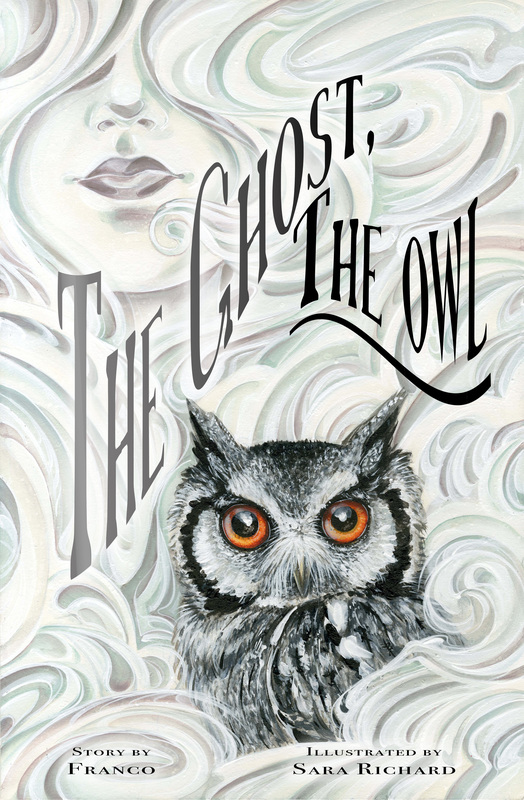 What mysteries does the ghost girl hold the secrets to and what will happen when she and the owl unlock them together? Will they find out what happened to her? Will she find her way to where she needs to be? What will happen to the animals in the swamp and surrounding forest? An adventure with the most unlikely of pairs, the Ghost, the Owl. While Minky and Unicole are led on an endless chase across campus, Trixie, Polly and Vince fight it out with a giant packrat for the most valuable treasure of them all...an old harmonica!